During one of our trips to Shanghai, China, we saw a film called Mao Zedong and Edgar Snow. The film was in Mandarin and wasn’t subtitled, so I had to watch carefully to understand what was going on. When I returned home to the United States, I searched Amazon for a DVD copy of the film but couldn’t find one. However, I discovered that Edgar Snow’s wife threatened to sue China if the movie was released, but that didn’t stop the Chinese. There’s no doubt that Mao had to have charisma to lead so many in battle for so many years to win a civil war that stretched from 1927 to 1950. However, Mao changed after he became China’s modern emperor, and the power must have corrupted him. The evidence is the results of the Great Leap Forward, the Cultural Revolution, and the purges that killed so many. 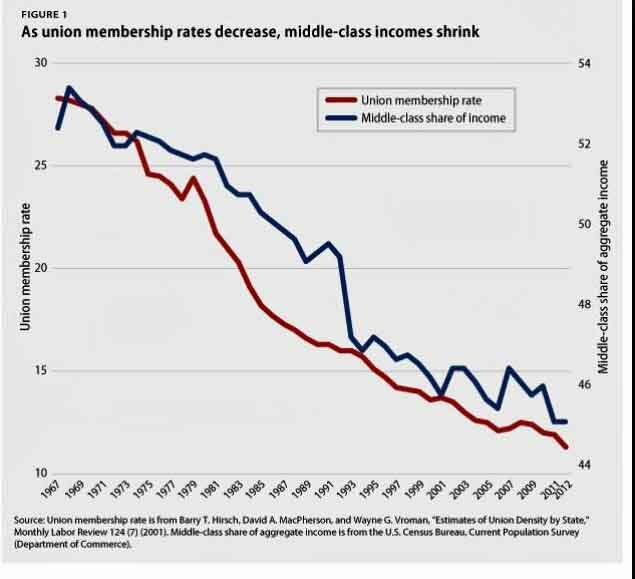 There were also successes like the Chinese Communist Party’s war against poverty, the increase in life expectancy that almost doubled during Mao’s rule. and the health programs that were implemented such as the bare-foot doctors. The reason so many Chinese still think of Mao as the George Washington of China was because life after 1949 was better than life before the CCP won the Civil War. Students of China may want to see this film, but the only place one may buy a DVD of this movie is probably China. Mao born in 1893 grew up during a period of madness in China’s history. To learn more, I suggest reading The Roots of Madness. The Chinese Civil War lasted from 1926 to 1949 with a few years out to fight the horrors of the Japanese invasion of China during World War II. The horrors of Mao’s Long March by itself was enough to cause PTSD in all 6,000 of its survivors from the more than 80,000 troops that started the year-long journey of retreat, battle, and severe suffering that was threatened by death on a daily basis. Once, Mao barely escaped with his life. In 1930, Yang Kaihu, his wife at the time — Mao was married four times — was arrested and executed. In addition, Mao had two younger brothers and an adopted sister executed by Chiang Kai-shek’s troops. If you had several close calls with death; lost a wife, two younger brothers and an adopted sister in this way, how would that affect you? To judge Mao by today’s Politically Correct Western values is wrong, because he grew up in a world ruled by a completely different set of values that shaped him to be tough enough to survive. Anyone that survived and went on to rule China at that time would have been judged as brutal by today’s Politically Correct Western values. In fact, Chiang Kai-shek was a brutal dictator who ruled Taiwan — after he fled mainland China in 1949 — under military marshal law until his death in 1976. But Chiang didn’t have as many people to rule over so the death count he caused was smaller but no less significant. The History of Humanitarianism shows us that this concept was born and nurtured in the West and developed slowly over centuries with the result that the individual was made more important than the whole. 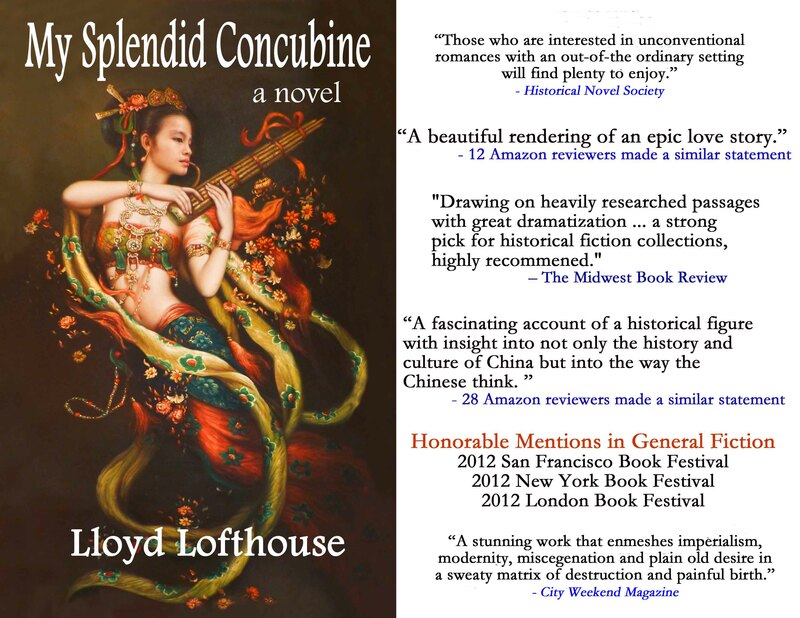 Lloyd Lofthouse, a former U.S. Marine and Vietnam combat vet, is the award-winning author of My Splendid Concubine [3rd edition]. When you love a Chinese woman, you marry her family and culture too. This is the unique love story Sir Robert Hart did not want the world to discover. 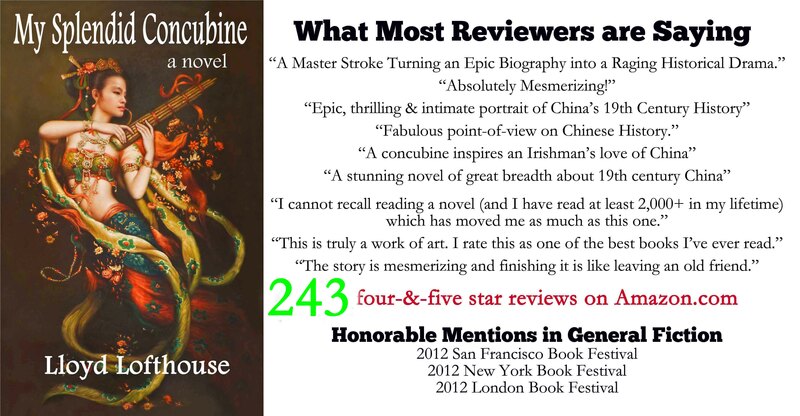 From The Opium Monopoly by Ellen N. La Motte, we learn how opium addiction became an epidemic in China. Although The Chinese knew about opium for more than a thousand years, it wasn’t until the Portuguese arrived in the 18th century that the Chinese used it as a drug by smoking it. Merchants from Britain, France, Portugal, America and other nations became the drug cartels that plagued China into the 20th century. In 1729, the emperor issued the first anti-opium edict, but the supply of opium flooding China went from 220 chests in 1729 to 70,000 in 1858. Opium growers, who did not want to comply, fled into the Golden Triangle Region of Southeast Asia where many of Chiang Kai-shek’s nationalist troops had gone to escape defeat. Those generals also did business with the CIA, and American soldiers in Vietnam became the new customers. It is estimated that at least 20% of the almost nine million American troops that served in Vietnam became addicted. China remained free of drugs until Deng Xiaoping declared, “Getting Rich is Glorious” and opened China to world trade. In 2003, it was estimated that China had four million regular drug users—even with China’s strict laws concerning illegal drug use. And in America, where human rights are king and fear of Communism by Capitalists is supreme, drug users and sellers often end up in prison costing taxpayers an average of $47,000 annually explaining why America has more people serving time in prisons than any other country on the planet; that price tag is more than $90-billion a year. Where are the protests and the accusations? Instead, the U.S. has a presidential candidate, a billionaire called Donald who wants to build the Great Wall of Trump between the United States and Mexico. You are currently browsing the archives for the Maoism category.